What is the landscape installation process? Click to view our design packages! Depending on the type of project, meet with one of our project managers or designers. Not every project will need a design, but some extensive or larger projects may require one. Our reps will typically complete your quote on site, but depending on the size of the project, they may have to send it via email or come out to present it to you. During our busier seasons, it may take up to a week to complete. Review the information in your Sales Folder. Take the time to get to know the company you are potentially signing a contract with is the most important part of the landscape process. The Sales Folder should contain photos, a business license, insurance certificate, financing information, current watering guidelines, and our MALTA membership information. Review and compare our quote with other quotes you may have gathered, but be sure of exactly what the price includes. Visit Kudzu.com to search for customer reviews. Find out as much as possible about the company and be sure that you are not only reviewing price, but quality and reliability as well. Have your rep make any final revisions to your quote and finalize your thoughts on your project. In order to schedule your project and order the materials, Miller Landscape requires a deposit, a signed contract, and the signed estimate. This can be done several ways. We can receive the documents by fax (770.591.5700), email (britany@millerlandscape.net), or mail (1630 Barnes Road, Woodstock GA 30188). We accept John Deer Financing, check or card by phone. After we receive your deposit and signed documents, someone from our Purchasing and Planning Department will contact you to discuss what day would be best to install your project. Depending on the time of year, this processing time can take up to a week. If you have a date that it needs to be completed by, for a special event etc., then we will do our best to do so. At the completion of your project, the project manager will conduct a final walk through and collect final payment. The walk through ensures that you will have the opportunity to look closely at our work and inform us of any dissatisfaction whatsoever. One of the best reasons to select Miller Landscape to install your project is our incomparable warranty policy. Our plant warranty is 90 days, however if you use us as your regular maintenance service, we will warranty them as long as we do the maintenance. 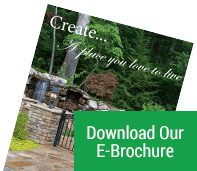 The warranty for hardscape projects (stone, pavers, woodwork, etc.) will be negotiated with the customer at the time of signing, but begins at 1 year.